Jean Ingelow (1820 - 1897) was one of the more famous poets of the period, indeed many people suggested that she should succeed Alfred, Lord Tennyson as the first female Poet Laureate when he died in 1892. 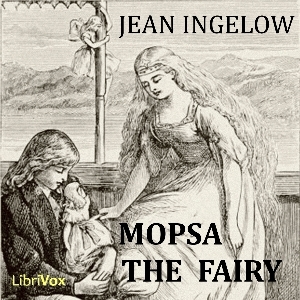 Mopsa the Fairy, written in 1869 is one of her more enduring stories. It is a delightful fantasy about a young boy who discovers a nest of young fairies and tells of their adventures together.